It’s nearly Easter so that means one thing: a chance to make a break for it and head to Scotland for events, activities and eggs galore. 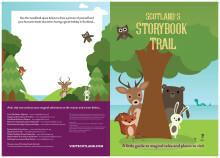 From festivals and musicals, to woodland walks and safari trails, not to mention the opportunity to see Scotland’s photogenic wildlife and landscape, a trip north this April can provide the whole family with many memorable and unique experiences. Also, what would Easter be without chocolate? 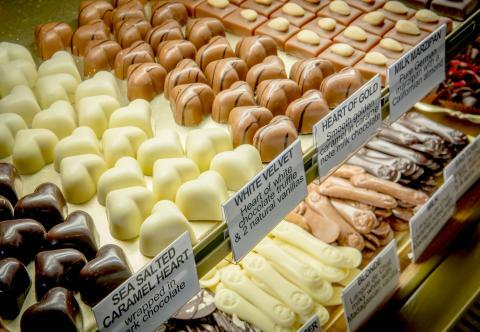 Any visitors with a particularly sweet tooth can check out one of the many chocolatiers and chocolate shops across the country as well as other Scotland foodie trails. Formerly known as the Edinburgh International Science Festival, the festival theme in 2019 is Frontiers, inspired by the 1969 moon landings, exploring the boundaries of knowledge and the spirit of adventure and enquiry that drives science, technology, engineering and maths. They provide a platform for some of the brightest minds in science, technology and engineering to share big and exciting ideas from the cutting-edge of their research domains. The festival offers fun and engaging events for kids (and big kids) such as Game On (a hands-on, playful introduction to computer programming), Splat-tastic (chemistry workshop with a chance to make slime!) as well as Street Science, in which dazzling science experiments (and plenty of mess) are taken to the streets of the city! The Edinburgh Playhouse is the only Scottish stop on this UK tour of Matilda: The Musical, the multi award-winning musical from the Royal Shakespeare Company, inspired by the beloved book by Roald Dahl. With book by Dennis Kelly and original songs by Tim Minchin, Matilda: The Musical is the story of an extraordinary little girl who, armed with a vivid imagination and a sharp mind, dares to take a stand and change her own destiny. The annual Loch Shiel Spring Festival is now established as one of the most interesting and inspiring chamber music festivals in Scotland. Loch Shiel itself is one of the longest lochs in Scotland, and the festival is designed to bring together the communities around the loch by hosting outstanding and unique chamber music performances by leading musicians each year. The 2019 Loch Shiel Festival promises to be a micro-festival of "inspirations", where artists explore chamber music for strings which has provided inspiration for composers and artists over the centuries. The whole family can take a trip to the Hermitage in Perthshire and come up close and personal with the thunderous Black Linn Falls waterfall, best viewed from Ossian’s Hall. What’s more, the giant Douglas firs are among the tallest trees in Britain and it may be possible to spot red squirrels darting in the tree tops. This Easter, there will be an egg hunt for wee ones at the Hermitage on 20 April with the chance to win delicious chocolatey prizes. The Hermitage is open all year and is free to visit. The Easter egg hunt costs £2 per child. See www.nts.org.uk/visit/events/cadbury-easter-egg-hunt-at-the-hermitage for more information. The Highland Safari Park is a popular spot for all ages of a visitor to come face-to-face (well, as close as possible) to lions, rhinos, giraffes and sea lions, driving through the animal reserves, or to take a boat trip to chimp island. This Easter, this new event – Big Spring Fling - will treat children to a 3D cinema show, magician, puppet shows, arts & crafts, Easter egg trails and all the usual fun and excitement of the Safari Park. Set in the heart of Dumfries & Galloway, on the hills above the Solway coast, Laggan Outdoor is a stunning location.A fun scenic trail, the Peter Rabbit Trail is a fun way to get some exercise and for families to spend some time together. Buy a question sheet for young guests for just £2 and they can head out on a little adventure to find Peter and his friends. Once finished, try one of the outdoor activities, such as grass sledging, or enjoy a hot chocolate from the café. Suitable for age 3+. Bring a favourite teddy bear, a picnic and a blanket for this fun family event. Special activities planned include storytelling, photo opportunities with the resident teddy bears, games and much more. There is also the chance to explore castle and the surrounding country park. Easter means fun, family and adventure at Dalkeith Country Park. From outdoor cinema (Toy Story and the Greatest Showman), to Easter pebble painting, balloon twisting and an Easter egg painting workshop, there is plenty to keep everyone happy (including coffee for the grown-ups!) No booking required – simply turn up on the day to see what’s on. The Scottish Wildlife Trust is offering a chance to see beavers up close at Loch of the Lowes Visitor Centre & Wildlife Reserve in Perthshire during People’s Postcode Lottery Beaver Watch events, which take place from April to September. These events are suitable for families and booking is essential. Attendees will learn all about beavers, the first formerly extinct mammal to be officially re-established in Scotland*, from one of our expert staff, followed by an opportunity to spot them from our hides as the sun sets over a scenic Perthshire loch. Dates are every second Wednesday from 10 April to 22 May, then every Wednesday from 5 June to 11 September. Times are variable depending on sunset. The Scottish Seabird Centre is celebrating the arrival of the first of this season’s gannets on the Bass Rock. Visitors to the Centre will be able to see the new arrivals through the Discovery Centre’s interactive remote viewing cameras when it reopens to the public in April. This sighting is a significant milestone in the start of the breeding season on the Firth of Forth islands. The area is of international importance for breeding seabirds with over 500,000 nesting on the islands, including puffins, kittiwakes, guillemots, razorbills and terns. Scotland is home to around 60% of the world’s population of Northern gannets (Morus bassanus) and the Bass Rock is the world’s largest colony. Booking a boat trip in advance is advised. For more information or to book a boat trip, visit seabird.org. Not choc-full yet? Check out these sweet picks…. Known as The Highland Chocolatier, Iain Burnett is an award-winning artisan based in the heart of Highland Perthshire. Iain hand-makes all sorts of spiced pralines and dipped fruits, but it’s the Velvet Truffles which have brought him world-wide recognition. Chocolate lovers can indulge in a treat for the tastebuds from the shop, as well visit the Scottish Chocolate Centre to take a journey through the history of chocolate before perhaps catching a glimpse of chocolatiers in action through the large glass viewing window. And, yes, they are making chocolate eggs for Easter! Go to www.highlandchocolatier.com for more information about the shop and the tours. When walking, driving or cycling in the Highlands, the Cocoa Mountain Café could be the place to stop for a calorie fix, be it a chocolatey one. The finest cocoa blended with fresh Scottish ingredients, and a dash of inspiration from the beautiful landscape make the chocolates rather special. Their chocolate delights are also available to buy online at www.cocoamountain.co.uk. Dark and decadent, dairy-free, peppermint fondant and organic espresso are just some of the delicious flavours to choose from. And the hot chocolate isn’t bad either. Established in 2008, this luxury award-winning chocolatier produces chocolate and gifts with flavours and ingredients around the world – all handcrafted in Aberdeen. They also host chocolate-making workshops for children and adults. Their chocolate marshmallows are a popular choice www.cocoa-ooze.co.uk . It has been described as a “the closest thing to chocolate heaven on Earth”** by one fan and it isn’t difficult to see why: the owners of Chocolate Tree hand craft their chocolate in micro batches using only the finest fresh ingredients, working closely with cocoa farmers at origin. Check out their website for Easter treats and gifts, visit one of their shops or book a guided tasting evening. See www.choctree.co.uk for more information. Recently opened and transformed (as of late 2018), the Grandtully Hotel near Aberfeldy in Perthshire is the newest venture of family team, Andrew, Chris and Rachel Rowley of Ballintaggart fame. The hotel includes a vibrant bar, eight individually designed feature led bedrooms (four with heritage cast iron baths and showers and four shower rooms), a library, private dining room, outdoor terraces and restaurant. The Grandtully Hotel has availability for the Easter holidays, get in touch with the team to find out more. In addition, they are running a ‘slow Sunday’ offer for £100 stays on a Sunday or Monday in April (subject to availability and a dinner reservation) including Easter Sunday. www.ballintaggart.com / (01887) 447 000. This copy was correct at the time of going to press. VisitScotland cannot guarantee the accuracy of the information and accepts no responsibility for any error or misrepresentation. All liability for loss, disappointment, negligence or other damage caused by the reliance on the information contained herewith, or in the event of any company, individual or firm ceasing to trade, is hereby excluded. 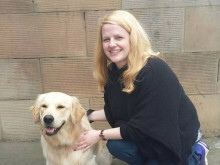 Contact for travel media enquiries from the UK; Main contact for Ambassadog enquiries.